Have you ever arrived in Barcelona by car and been unable to find a parking space? Luckily, Parking Viajeros offers you a solution that will allow you to leave your car in a supervised parking space at an affordable price. 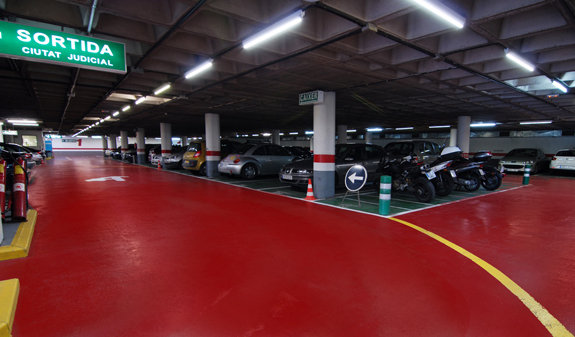 If you're thinking of spending a few days in Barcelona and coming by car, you may find it difficult to find a parking space and if you do, it could turn out to be very expensive! 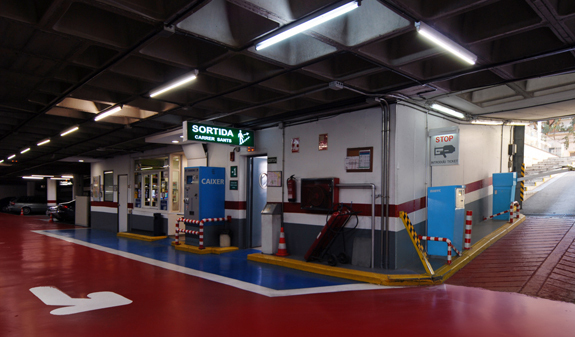 To save you time, money and energy we suggest you leave your vehicle at Parking Viajeros. 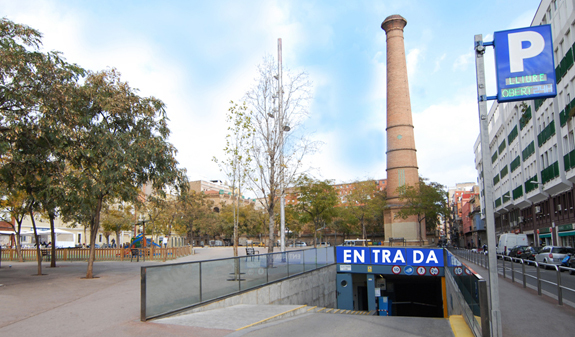 This car park is located very close to Carrer de Sants, one of Barcelona's main shopping streets. It opens 24 hours a day, 365 days a year and allows you to take you car in and out as often as you like at no additional cost. 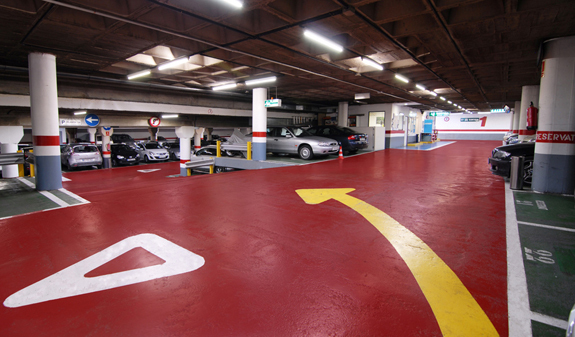 You'll be able to leave your car with total peace of mind because this underground car park has security guards on the premises and CCTV on every level. The car park is within easy access of the metro and bus networks which will take you to the main sights around the city. Secure parking for your car. Unlimited entry and exit for vehicles at any time of the day. Times: Open 24 hours a day, 365 days a year. Meeting point: Carreras i Candi, 65. Barcelona 08028 (GPS: N 41º 22' 20.39" / E 2º 07' 42.87"). Metro L1 Santa Eulalia station, L5 Badal station. Bus: D20. Maximum permitted height 2.10 m.